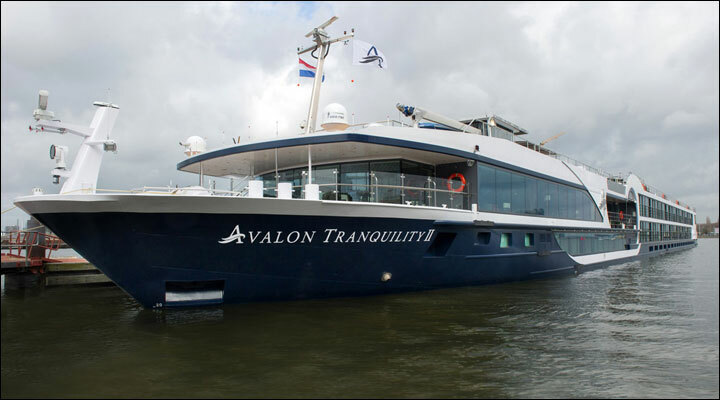 The Avalon Tranquility II accommodates 128 passengers. Its intimate setting features two full decks of Panorama Suites with wall-to-wall panoramic windows that transform into a unique open-air balcony. With 200 square feet, Panorama Suites are more than 30% larger than the industry standard, perfect for stretching out and relaxing or even throwing a private cocktail party in the spacious sitting area. Onboard amenities and services include complimentary computer use in public areas and free Wi-Fi access, a fitness centre, a hair salon, lift, and a spacious Sky Deck with shade system, whirlpool, deck games, and the delightful Sky Bistro for al-fresco lunches of light grill fare.